Custom Minky Blankets - Where Functionality and Fashion Meet! Homespun elegance from trendy to traditional! 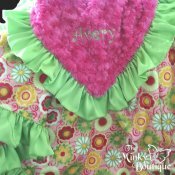 The Minky Boutique is the premiere online company for custom, hand-crafted Minky blankets. 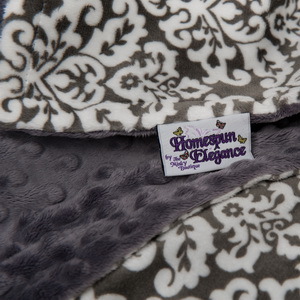 We offer the largest selection of quality Minky fabric choices for our custom blankets. 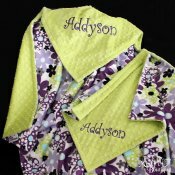 With over 350 top quality Minky fabrics to choose from along with professional personalized monogramming, you can create a one-of-a-kind, uniquely special handcrafted gift to be treasured for years to come. 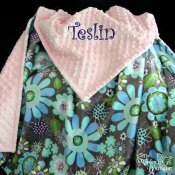 Our handcrafted Minky blankets make the perfect gift for any occasion....baby showers, birthdays, graduation, weddings, anniversaries, Christmas, etc. Why give the ordinary when you can give the extraordinary? 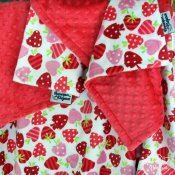 We offer wholesale pricing to retailers on several styles of our Minky baby blankets. Let us supply your baby boutique with the finest quality, handcrafted Minky baby blankets available. Our blankets are currently in retail shops worldwide. Take advantage of our one-stop shop for retailers. 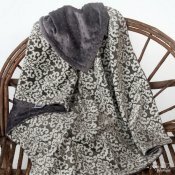 We'll turn your wholesale fabric purchase into blankets for you. With more than 20 years experience each, our sewers produce only the finest quality Minky blankets.